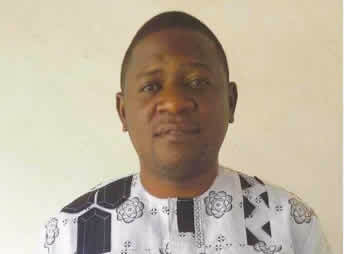 Police operatives in Bauchi State have recovered the corpse of a former MTN worker, Benjamin Sule, who was found dead two days after leaving his house. The police said they had launched an investigation to unravel the circumstances surrounding the disappearance and death of Benjamin. The indigene of Apa Local Government Area of Benue reportedly left his house located at Rafin Makaranta opposite the School of Armour in Bauchi on July 1, 2018 to see a group of persons who called him from Gwallameji area of the state before he was found dead. The deceased’s elder brother, who is a security guard at MTN office in Bauchi, Friday, said he had been calling Benjamin’s number for two days without response. Friday added that he decided to visit his house but was told by his neighbours that he had not returned to the house for two days. He said that the following day, he lodged a complaint at the Yelwa Police Division and later got a call from the police in the evening that a dead body had been found at a hill behind the Federal Polytechnic Students’ village called Gwallameji. He was asked to come and identify if it was his brother. “When I got to the police station, I was shown a picture of my brother’s corpse lying on a stone at the hill. Immediately I saw the picture, I recognised him and told the police he was the one that was missing for two days,” Friday said. It was gathered from one of his neighbours who spoke on condition of anonymity that someone called the deceased on his phone earlier to tell him to meet him at Gwallameji. “On that fateful Sunday evening, he told my elder sister that some persons called him at Gwallameji, that he was going to see them. He even collected her battery and put it inside his phone because he had low battery. He told her that he did not want the people to think he switched off his phone, that was why he borrowed my sister’s phone battery,” she stated. The Police Public Relations Officer, Bauchi State Police Command, Kamal Abubakar, said that on July 4, the police attached to Yelwa Division received information that they saw a dead body lying down on top of the hill. He added that the police had launched investigation into the circumstances surrounding his death.